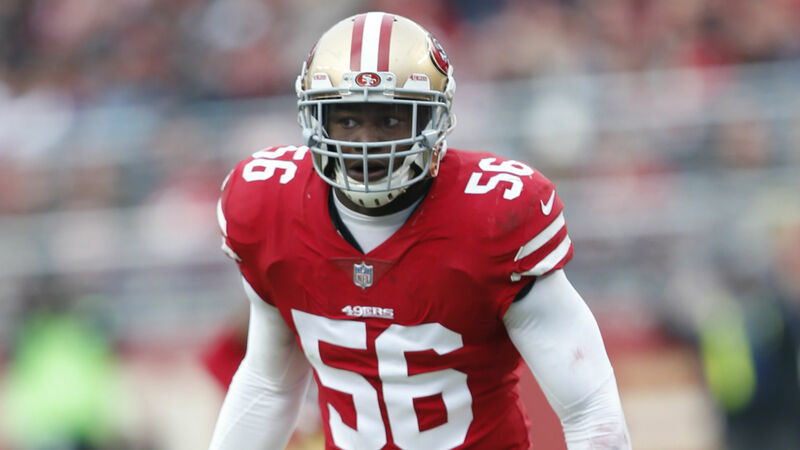 49ers’ Reuben Foster was arrested in Tampa, Fla., on Saturday on a domestic-violence battery charge, according to the San Francisco Chronicle. According to a police report obtained by the Chronicle, Foster was arrested at 9:10 p.m. ET and booked in jail at 11:11 p.m. ET. No bond has been posted yet. The 49ers are playing the Buccaneers on Sunday. Foster had a previous domestic-violence charge dropped in May after his ex-girlfriend, Elissa Ennis, recanted her statements that alleged Foster caused her bodily harm. The 24-year-old linebacker did serve a two-game suspension for a marijuana-related charge as well as a gun-possession charge stemming from the dropped domestic-violence charge.